For a quarter of a century Tommy Morrow has been donning the big red suit and spreading the joy of Christmas. He’s one of our most dedicated volunteers and this year marks his 25th anniversary as Santa! Everyone who attends our free Christmas Day lunch gets a present and the kids receive theirs from Santa – aka Tommy. Often these gifts are the only thing they’ll get all Christmas. Tommy reckons its the best job in the World. “Seeing the joy on the faces of the children is great and it’s a privilege giving to people who have nothing”, he said. All Santa’s presents are donated and we need lots of them. Things like toy sets, sporting goods and costumes for kids. The adults get gifts too including toiletries and clothing. 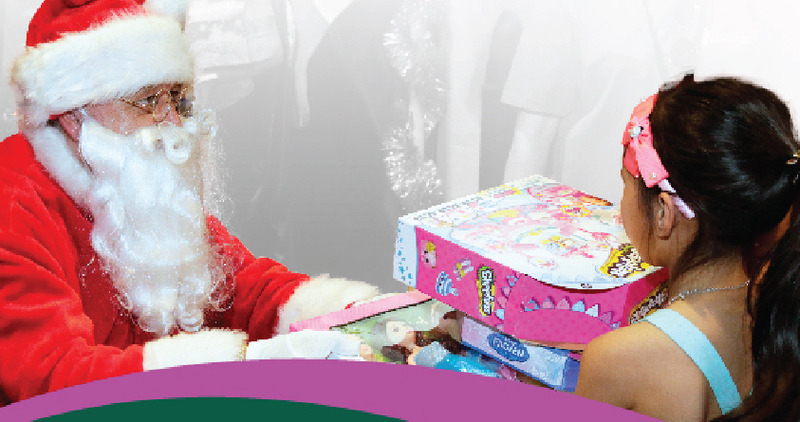 See our Christmas giving guide on page 3 for details on how to donate.